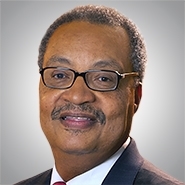 MILWAUKEE, WIS. - The national law firm of Quarles & Brady LLP announced that its chairman John W. Daniels Jr. will receive the 2013 Midwest Urban Empowerment Award in the category of "Leadership" from Community Connections Network Publications ("CCN"). The Midwest Urban Empowerment Awards recognize influential leaders who have been instrumental in helping to change the lives of countless individuals. Daniels was chosen by CCN for his leadership in developing Quarles & Brady as an organization that responsibly gives back to the eight communities in which it maintains offices, including Milwaukee. The law firm, which is one of Wisconsin's largest, offers substantial pro bono legal services to the disadvantaged, sponsors multiple programs that encourage firm employees to give time and money to a variety of charitable causes, and strives to promote diversity in the workplace. Daniels will receive his award at the 2013 Midwest Urban Empowerment Awards ceremony on May 4th and will be featured in the Midwest Urban Empowerment Awards special event magazine. "There's a culture of social responsibility and a genuine desire to be a positive force in all our home towns at Quarles," said Daniels. "My role in it all is to lead by example, which is a great personal pleasure to do, as well as regularly remind the entire firm that everybody counts, every day." As chairman of Quarles & Brady since 2007, Daniels has led the firm to a position of industry prominence as a company that stresses the importance of every individual and the inclusion of diversity in the workplace. In an effort to support those core firm values, the firm has established a Diversity & Inclusion Council in each of its office locations, which institutes and coordinates individual office activities. The firm is a signatory to the Pro Bono Institute's Law Firm Pro Bono Project and actively engages in numerous civic and charitable initiatives through its Quarles Cares program, which emphasizes projects related to hunger and education. Daniels has won numerous awards for his leadership and advocacy of diversity, including the 2012 Spirit of Excellence Award from the American Bar Association, the 2012 Excellence in Education Award from the Milwaukee Public School Board and the 2013 Presidential Legacy Award from the National Bar Association. A former chair of the Greater Milwaukee Foundation, Daniels is credited with spearheading an innovative, educational GMF initiative to create careers and career paths in business for youngsters, particularly those in urban areas. CCN Publications is a bimonthly African-American, female-owned publishing firm based in the Midwest. The magazine captures a market niche in diversity that is inclusive to all cultures, not just one particular cultural demographic. Perspectives on different ethnic customs and celebrations, stories featuring minority-owned businesses, along with other culturally and community-focused information are highlighted in the magazine. Quarles & Brady LLP is a full-service law firm with more than 400 attorneys practicing from offices in Phoenix and Tucson, Ariz.; Naples and Tampa, Fla.; Chicago, Ill; Madison and Milwaukee, Wis.; Washington, D.C.; and Shanghai, China. The firm provides an array of legal services to corporate and individual clients, which range from small entrepreneurial businesses to Fortune 100 companies. Additional information about the firm may be found at www.quarles.com, and on Twitter, LinkedIn and Facebook. To view the firm's Corporate Social Responsibility Report, please click here.